If you’re looking for the perfect napkin, custom printed Dinner Napkins are a great way to burn a positive lasting impression in the minds of your customers. These high quality paper napkins can help increase your brand visibility without increasing your storage space needs. With low minimum order requirements and short lead times this paper dinner napkin is the perfect fit for any size restaurant. Aside from being multi-use table napkins, these custom napkins can also be used as wedding napkins. 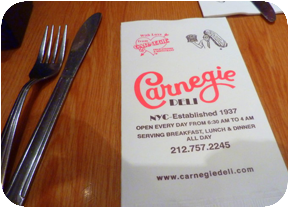 Our printed napkins are professionally printed, absorbent, and durable for any type of use. Custom Printed Dinner Napkins can portray your branded message in a unique and professional way! What is the minimum order requirement for Dinner Napkins? Custom printed Dinner Napkins have a 12,000 piece minimum order requirement. Our small order requirements and short lead times make this napkin a perfect fit for your restaurant or event. How long will my Dinner napkin order take for production? Lead time for printed Dinner Napkin orders is 2-3 weeks. Rush orders are available for an additional fee. Dinner Napkins can be printed up to 4 spot PMS colors. We can match any PMS color on the chart with some metallic ink options available. Need a price quote on custom printed Dinner Napkins? Contact us today! Looking for a napkin with a paper linen feel for a more formal event? 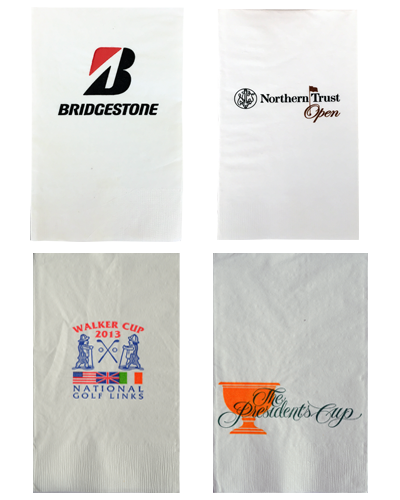 Take a look at our line of custom printed Paper Linen Napkins.